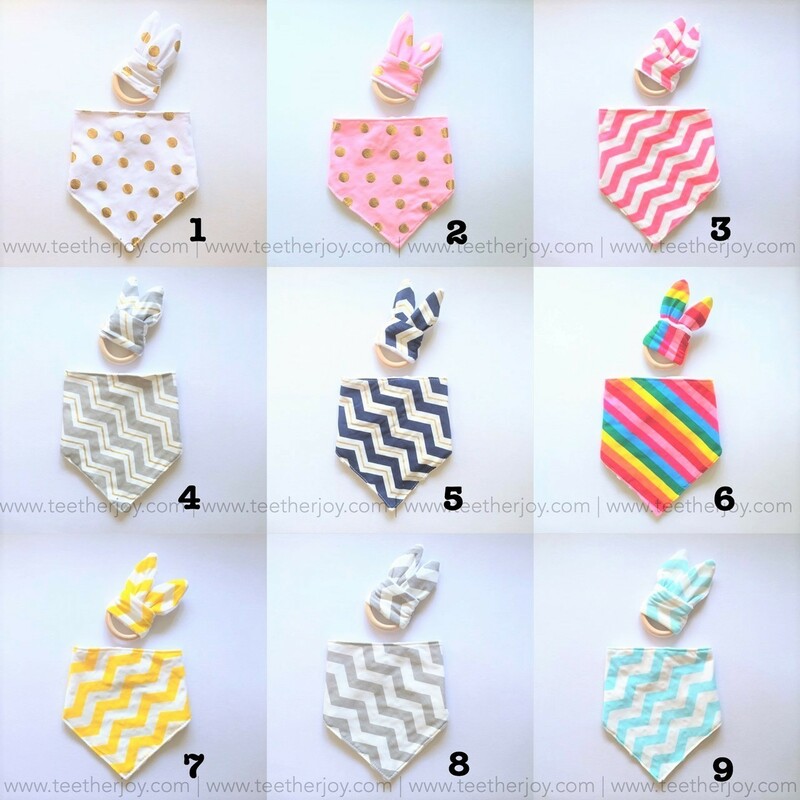 We at TeetherJoy bring you the 4-pieces gift hamper that you dream of for baby & mommy - Each hamper consists of a teether set, matching bib + bunny ear wooden teething ring and teething necklace. 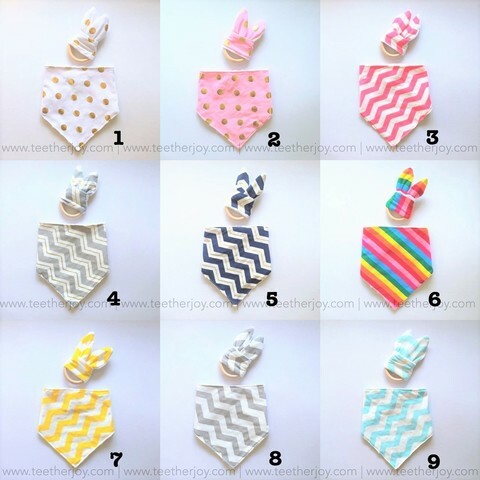 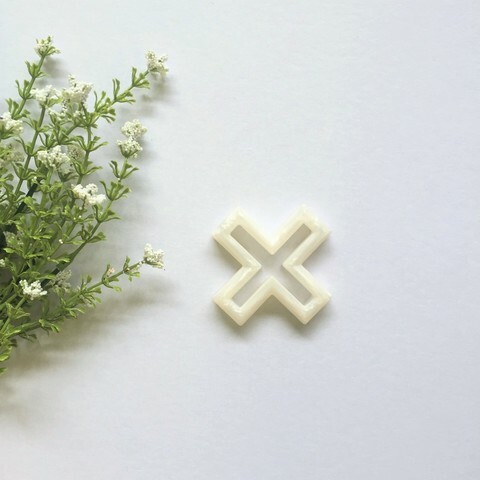 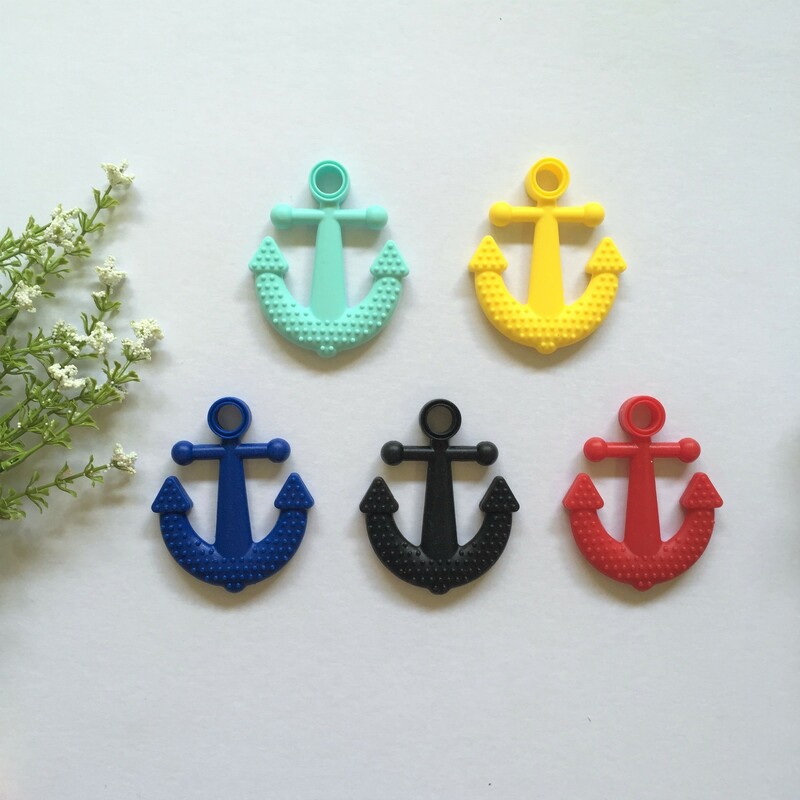 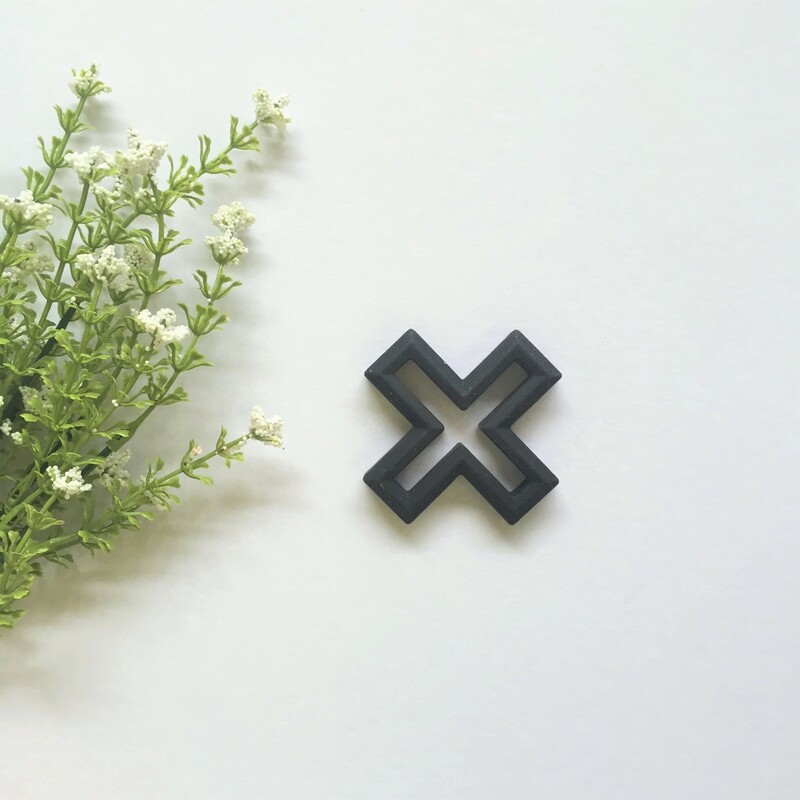 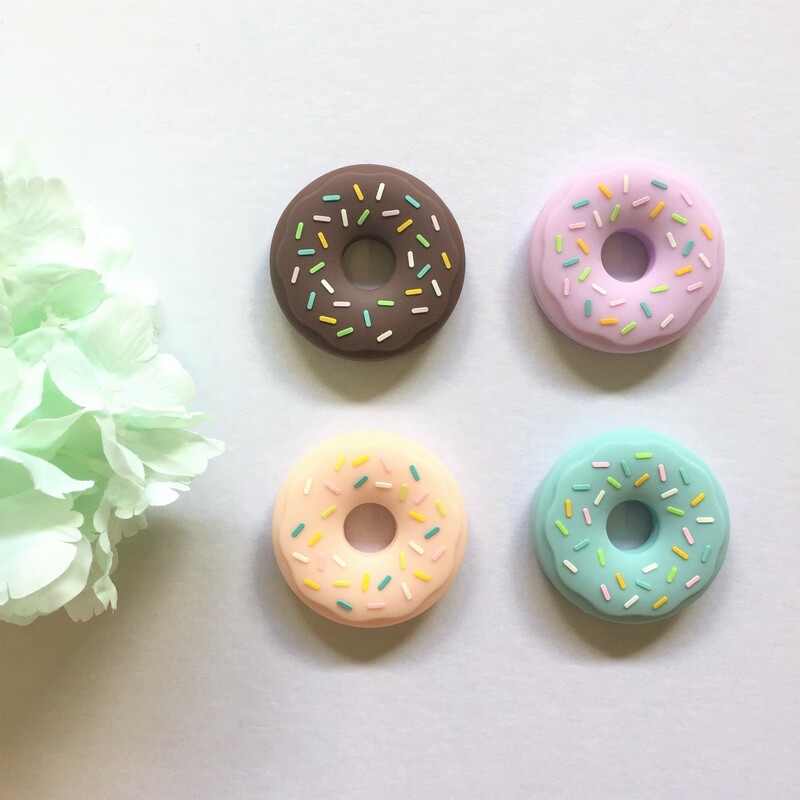 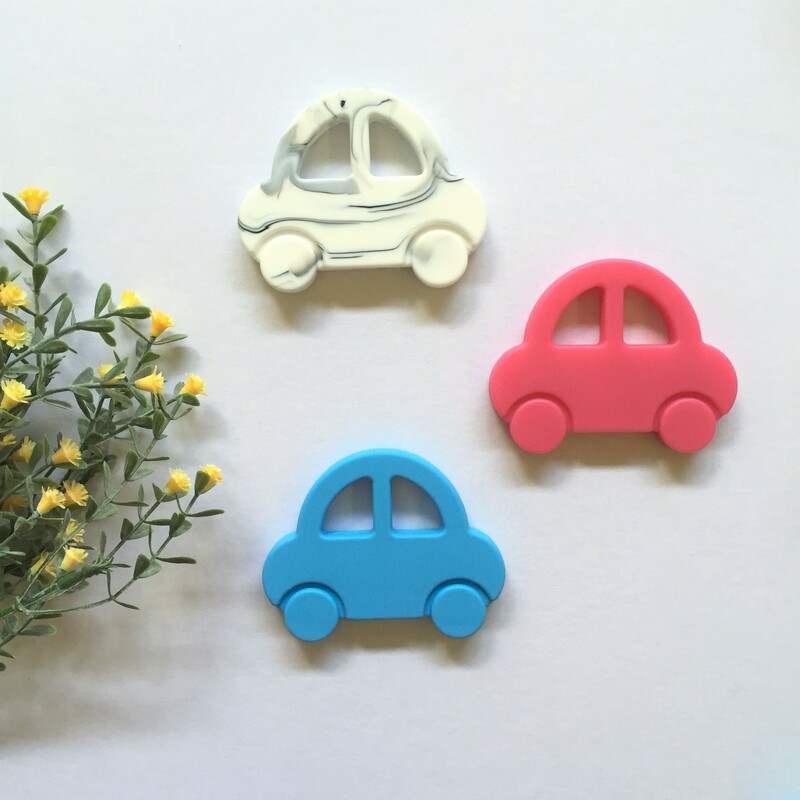 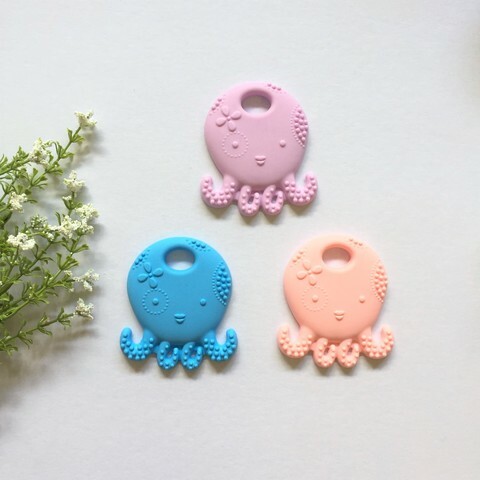 Our silicone teether set and teething necklace are made of 100% Food Grade Silicone, 100% Non-Toxic and contains NO BPA, PVC and Phthalate, absolutely safe for babies. 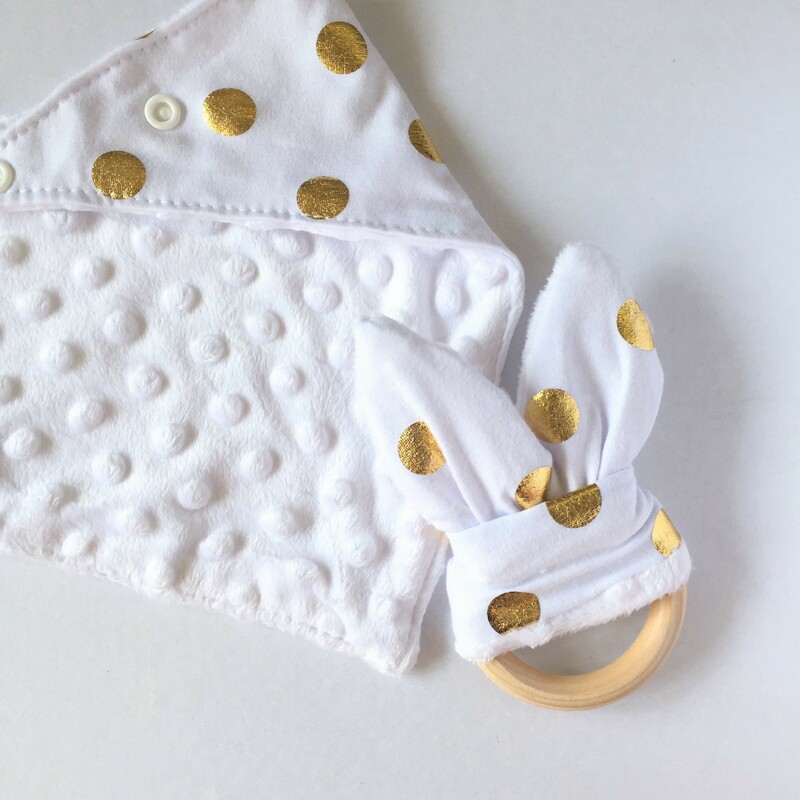 The matching bib and bunny ear are double sided and features incredibly soft minky dot fabric, perfect for the drooling babies. 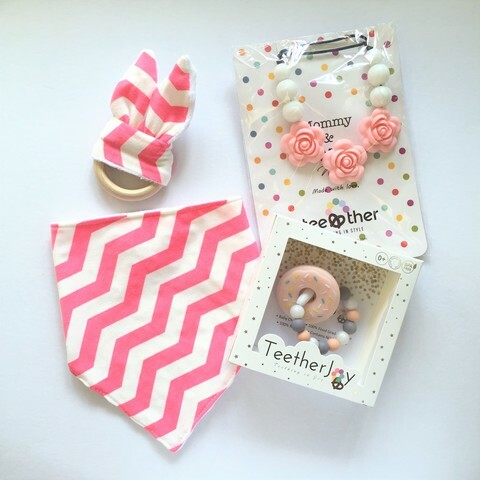 This gift set is a perfect and thoughtful gift for new born and new mom!